Are you impulsive enough to go to events at schools and help raise charity for non-profit organizations? Are you a cake-sale fundraiser? Baking cakes or cupcakes is not everyone’s cup of tea, it requires passion, good sense of taste, style, and craziness. If you bake cakes for passion or a hobby then selling cupcake online will be much easier for you. 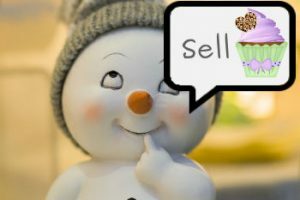 So, now the question will be how to sell cupcakes online. Allow me to throw some tips and tricks. So, let me consider that you have the passion to bake a cake. However, if you think to convert your passion into a profession, then you need to be great in what you do. You need to sell/ promote what you bake. Most extraordinary people with great talents fail to recognize the importance of rigorously promoting their craft. When someone shoots a question like how to sell cupcakes online then for me the obvious answer is, start creating an online presence. According to Mediatrix, (Influencer marketing Agency), an average person spends around 5 years of their lifetime engaging on a social media. In a digital world, that nearly promises ubiquitous connectivity, this channel will be the perfect starting point. An open marketplace like social media comes with diverse challenges. Creating a Facebook page or sharing your page with 10 different groups may not suffice the objective. You need to get active on those platforms and make sure your strategy will attract more eyeballs. Whet your skills and make sure that you will add new skills to your resume. Baking is an art, instead of mixing colours, you will blend multiple flavours and recipes to bring taste to the piece. Baking cupcake business is growing in popularity over the last few years and diverse courses are also available to learn it. Many home entrepreneurs have started selling cupcake at a local cafe, stores, at schools, and other events. Later on, the successful ones have grown into retail bakeries and franchises. How to Start a Home Based Cupcake Business? Starting a home bakery is not an easy task nor its fun (not after the first 3 months when you map it with your balance sheet). When taken seriously the pursuit can add value to your bottom line. It should be seen with the seriousness to that of a profession to earn a profit. You know how to bake but when converted into an enterprise model, you required to know much more than the basic baking skills. For grow your business, you need to learn the best practices on, how to sell cupcakes online. To get success in business, your cup cake needs to be better than what an average person bake at their homes. Try to develop cup cake decoration skills, the presentation is the key to lure attention. Try your artistic skill sets, create a design that looks good, make sure that people see your talent, and convert your showpiece into a sale. If you need, you can join some community classes or education organization providing cake decoration classes. Contact your local health department and get to know about the law of making, storing, and selling food in the current jurisdiction. 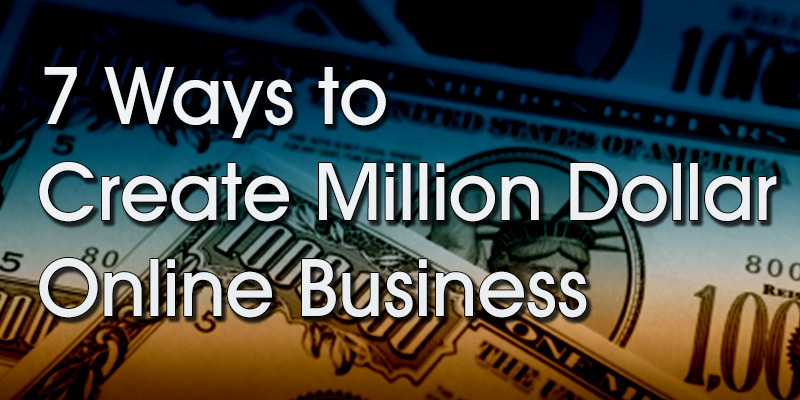 Some law allows you to start your business from home but it should meet specific requirements. Moreover, you are not allowed to sell unless you have a commercial kitchen. Choose the target location for running a retail shop. The strategic location should gain people’s attention. If municipality allows running a business from home, you can save money by buying additional gadgets for the kitchen. Also, think about the commercial space that you are planning to acquire/ lease space for an offline confectionery shop. Fabricate strategies to boost your walk-in traffic, so you can sell more cup cakes online. If your strategy is to sell online, then you may lack a physical arena where people can walk in taste a sample and place the order. People prefer to buy from people. For offline traffic, you need to establish a strong foot on social channels and local listings sites (As a start). Obtain necessary licenses and permits form the concerned governing bodies/ authorities. Depending on the current law, you need general store registration and food permit from food and supply. For both online and offline setup, get an insurance coverage. This insurance coverage help to claim settlements in case there is loss due to natural hazard occurs. For cup cake ingredients and decoration, find a local vendor as well as packing and distributing. If you tie-up with these packaging and suppliers and order the ingredients in bulk, it will help in cost saving. Have sufficient knowledge and skill of food preparation safety and potential dietary issues. For example; you need to disclose the ingredients used in the cup cake, in case anyone allergic to any of the mentioned ingredients should not consume it. You can either build your own website or can sell cup-cakes through online marketplaces (via someone else’s website). Building your own website can take months to get finished and gain required traffic. However, if you already run a blog with sufficient visit to the page and good position on the search engine, then creating an ad campaign on the blog will work. Create a website through which you can sell cupcake, also post photographs of product and happy moment and price and description of the cup cakes. Use local listing, local SEO, social media, newspaper, fliers, attend events, and distribute business card and brochures to commercialise your establishment. Most of the cup cake buyers are women on several occasions like a family get together, birthday parties, baby showers, social events, wedding parties, etc. Party planners are also a viable target since they usually purchase cup cakes for these small parties. Few also seek unique/ customised theme presentation with cake. In the grooming stage when planning to start, you can start small by setting up a descend website. Nowadays it’s quite easy to create an online eCommerce store. With platforms like Shopnix, it too simplified, that a single signup and you get everything you need to sell online. It will cost less as compared to building/ renting an offline shop. Take pictures of the cupcake and post it on the website, make sure that your online shop is set up right. The brand logo is necessary like a face of a person. Your logo will help in identifying your online business. Your brand and logo are the two things that people will notice, hence it should be interesting as well as representative. It should denote the context, shop name, image, and the value. 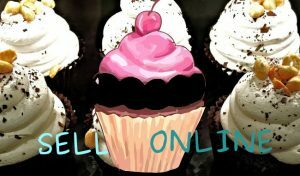 The online shop gives people an opportunity to interact with your cupcake business online and to place the order. So it’s better to tie up with an online platform provider that meets all the said facilities and features. In case if you lack the expertise to carry out online marketing on your own then it’s better you hire the right marketing agency to do it for you. Promoting your product, and website among the target customers is necessary. The promotion will decide the turn-up ratio of customer and success of your business. Have a personalized business card and take help from friends and relatives to spread the word.